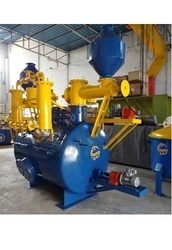 We are the leading manufacturers of Dissolved Acetylene Plant. Our Acetylene Plants are of indigenous manufacture. Experienced engineers have carefully designed every part. These parts are made of the best materials. Every part has been accurately made and carefully inspected You are, therefore, assured of an efficient and dependable D.A. Plant. - No bulky gasholder required. - Automatic controls for feeding water, maintaining temperatures, pressures, and slurry drain are, fool proof, efficient and are of international standard. - Excellent absorption of gas in cylinders. - No gas loss and high yield. 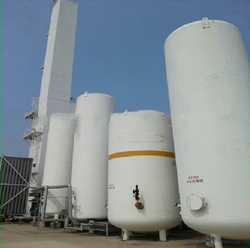 Acetylene Plant for use in Chemicals Cracking Process For production of polyethane plastics, Glass Industry, Areospace Industry, Heat treatment and nano materials. Universal Industrial Plants Manufacturing Co.Pvt Ltd. Both TDLX kits feature an Extreme self lighting tip, an Extreme standard tip, an ergonomic handle with quick disconnect and a tank tote that conveniently stores the hose and additional tips. Choose between the MC or B kits, and immediately benefit from the flexibility these kits offer. to increase efficiency of Hydrogen Cyanamid. rainfall during paste application and faulty application methods. Extensively used for industrial purposes, our acetylene plant generators are made as per international standards. Through this all the operations are performed automatically by pneumatically controlled valves along with highly accurate sensors and temperature controller imported from usa. - No bulky gas holder required.Automatic controls for feeding water. - Maintaining temperatures, pressures, and slurry drain are fool proof, efficient and are of international standard. - Excellent absorption of gas in cylinders. No gas loss and high yield. - Very simple and safe to operate. Low power consumption. Universal Industrial Plants Mfg. Pvt. Ltd. Consist of a generator (Automatic, medium Pressure Type) condenser, Purifiers, Ammonia scrubber, compressor, HP Dryer Battery and filling manifold.